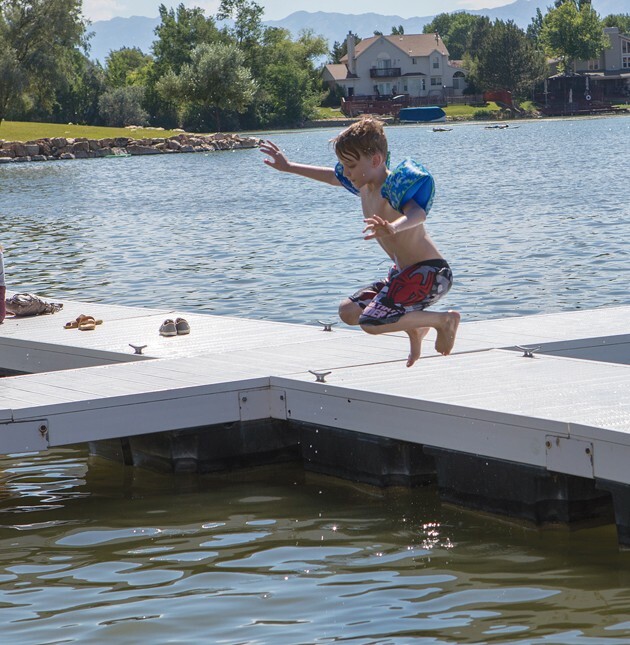 Samuel Straurthen takes a leap into the Stansbury Lake on Monday afternoon. 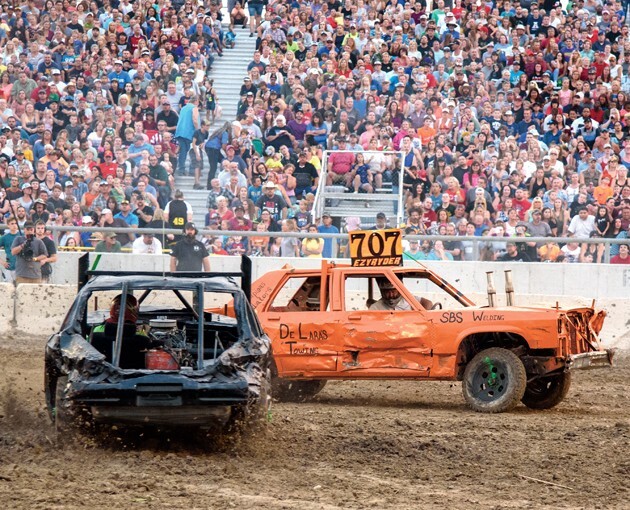 Cody Wing (316) and Stan McDonald (707) chase each other in Heat 3 at the demolition derby. 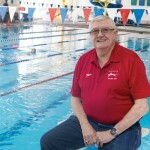 McDonald finished in first place while Wing finished in third and earned the Mad Dog award. 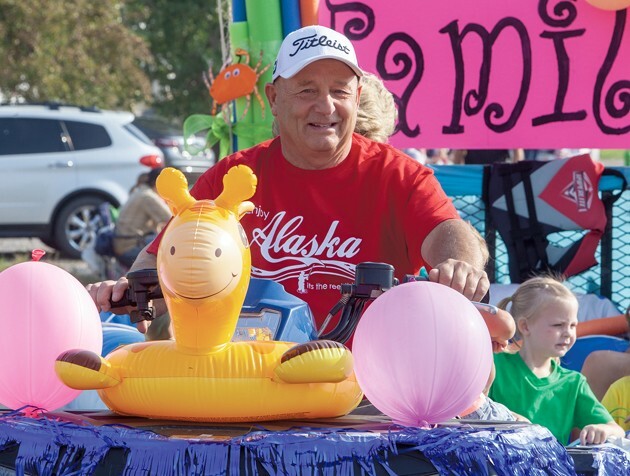 Kelly Astill drives his festive and colorful family float in a parade. 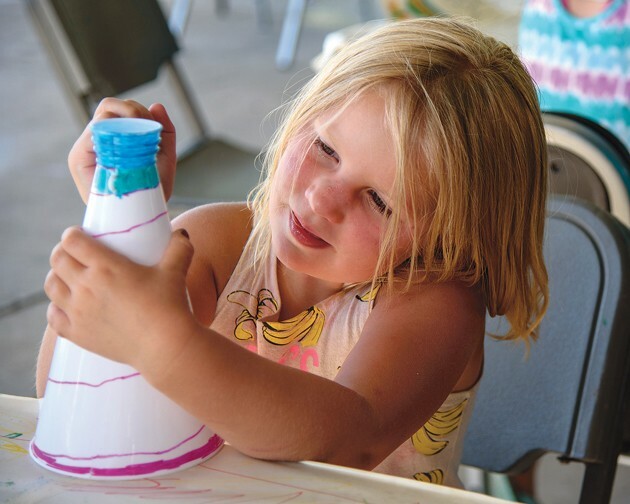 Brynnlee Harper colors her megaphone at the Art Yard at the Tooele Arts Festival. 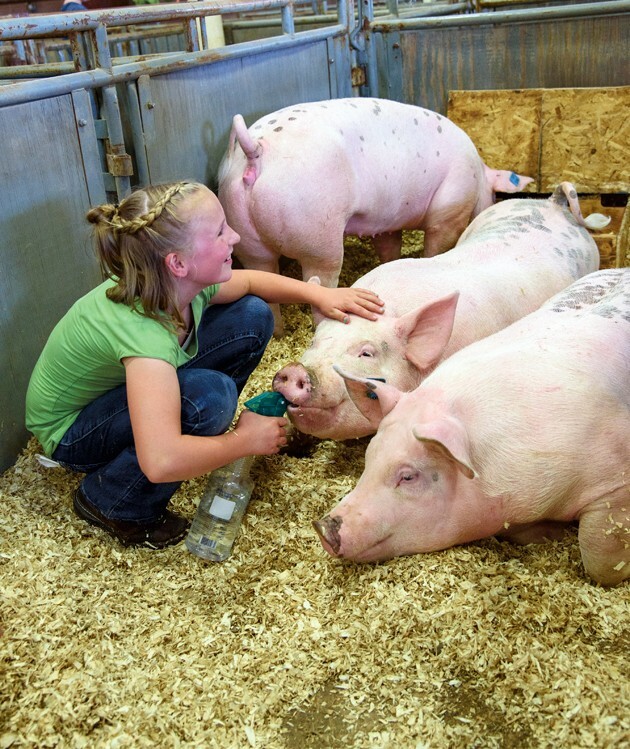 Lindsey Hansen keeps her family’s pigs cool while she talks to a friend at the Tooele County Fair. 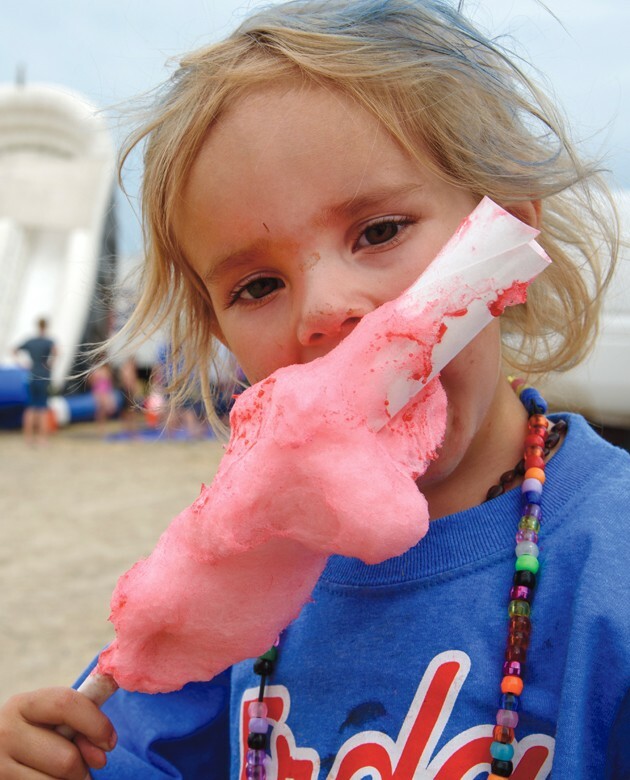 Larissa Wiseman enjoys some sticky cotton candy at the Erda Ballpark. 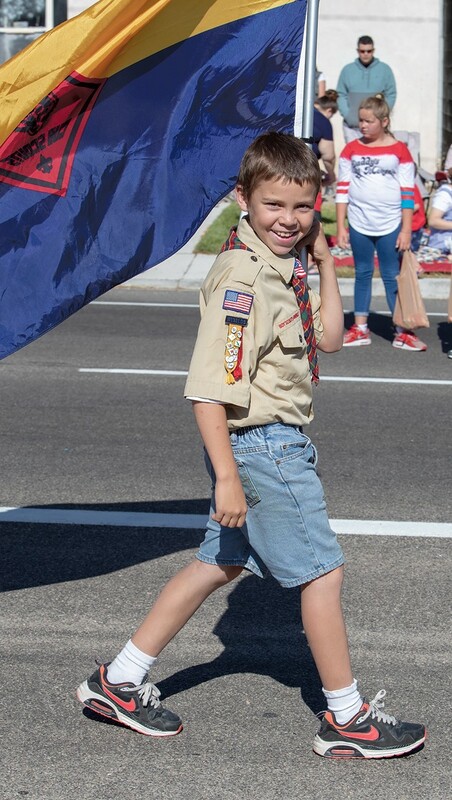 CJ Shuemaker carries the Cub Scout flag during a parade. 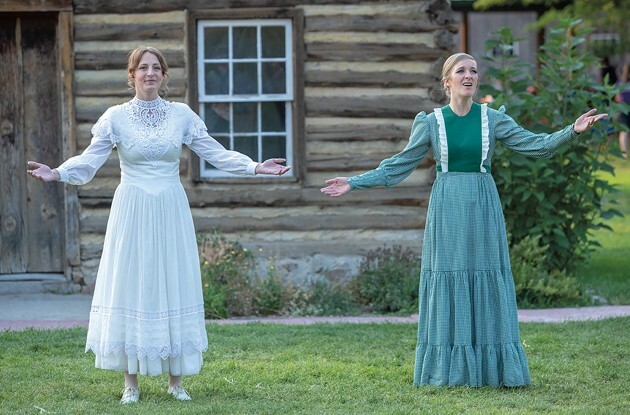 Janessa Berg and Jarna Knuteson sing in the opening scenes of the Benson Gristmill Pageant. 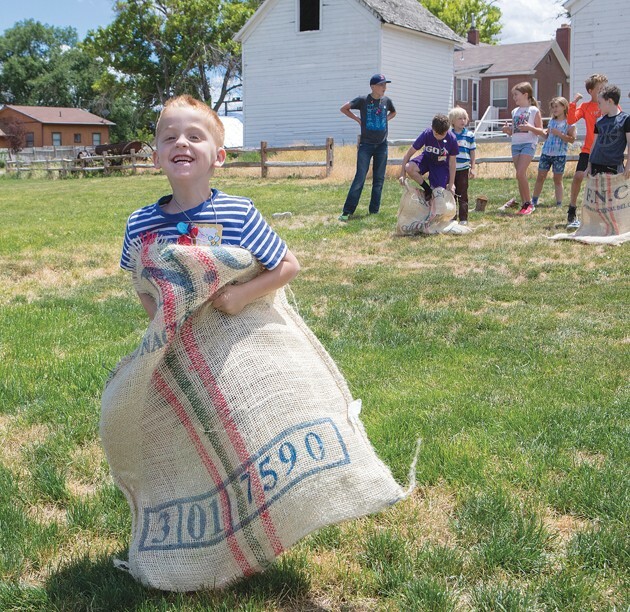 Ayden Baker competes in a sack race during Farm Camp at the Historic Clark Farm in Grantsville. 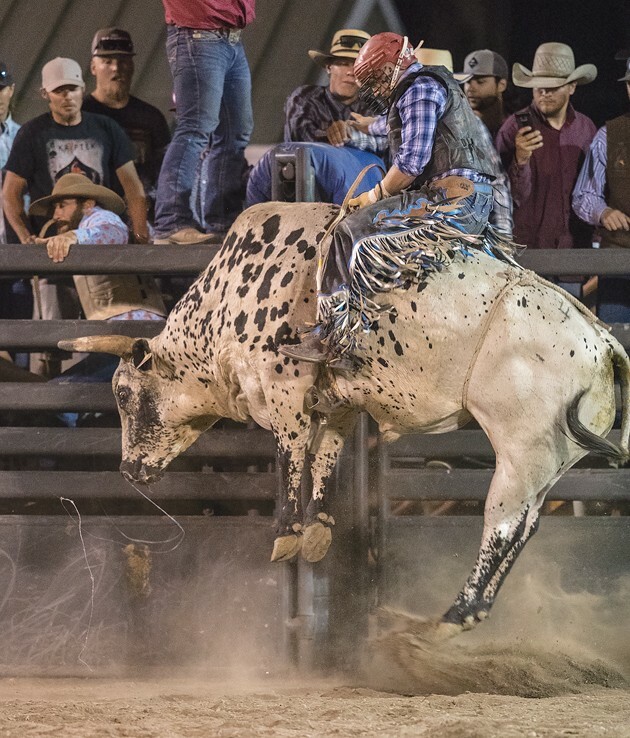 A bull rider goes for an 8-second ride on the Fourth of July at the annual Bit and Spur Rodeo at the Deseret Peak Complex. 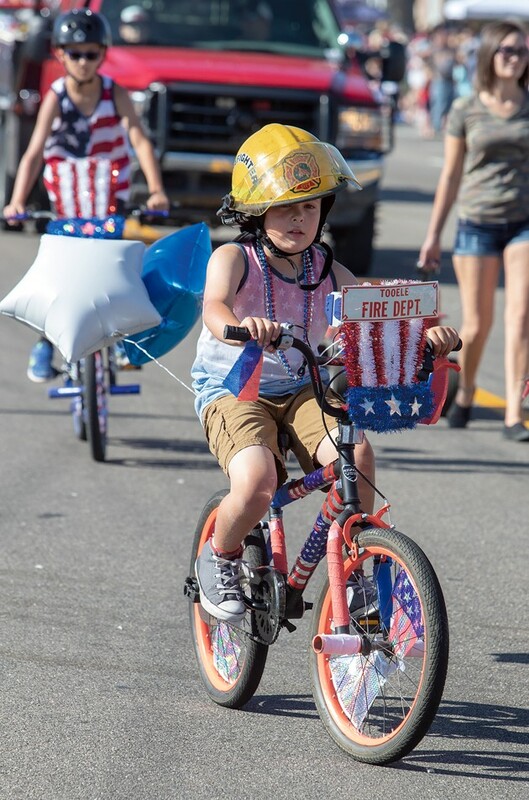 Kolby Howard pedals the parade route in a red, white and blue decorated bike. Parades were a part of Fourth of July celebrations. 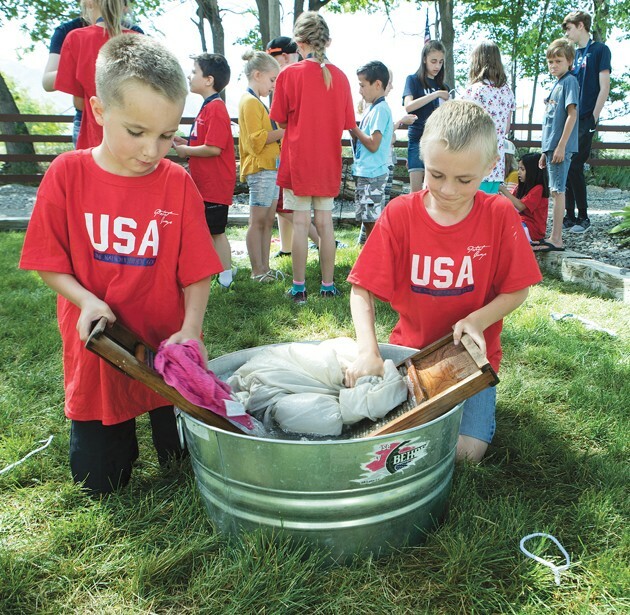 Johnny Allred and Sky Fridley learn how early Americans washed laundry by hand during Patriot Camp held at the Coulter House Event Center in Stansbury Park. 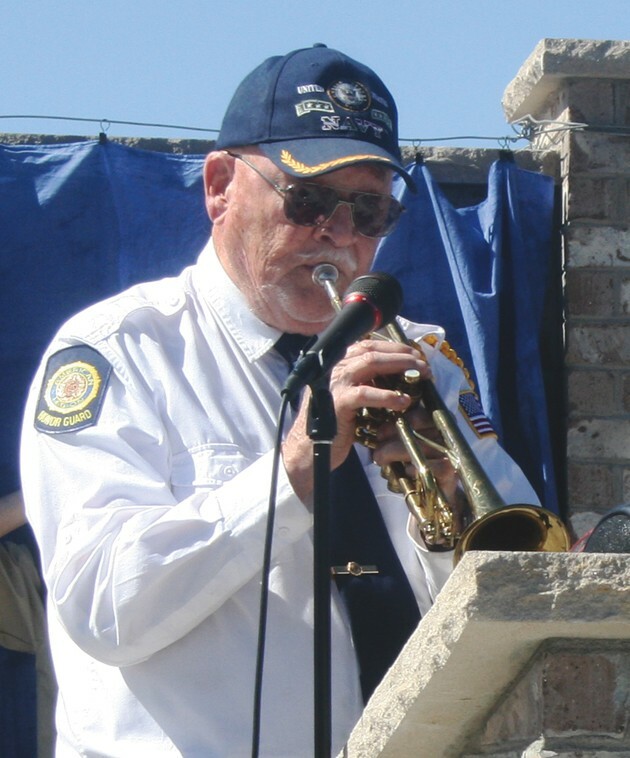 Prior to the unveiling of the memorial wall in Vernon on July 4th, 92-year-old World War II veteran Maynard Sorenson played taps. 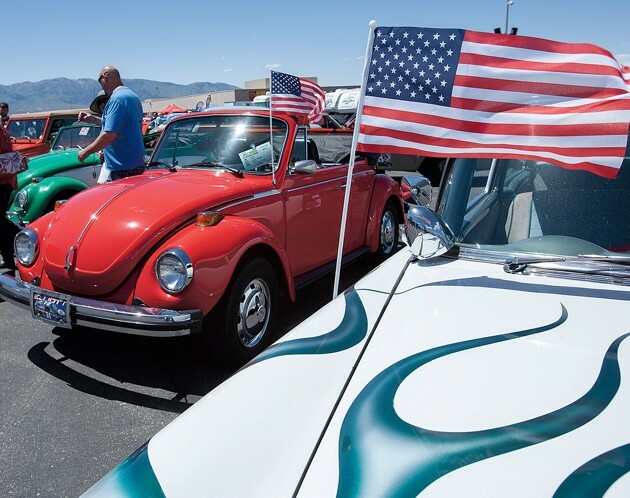 With school back in session and fall weather approaching, Tooele County residents can look back with fondness on a fun summer of parades, rodeos, car shows, fairs, festivals, concerts, races, demolition derbies and other summer events. 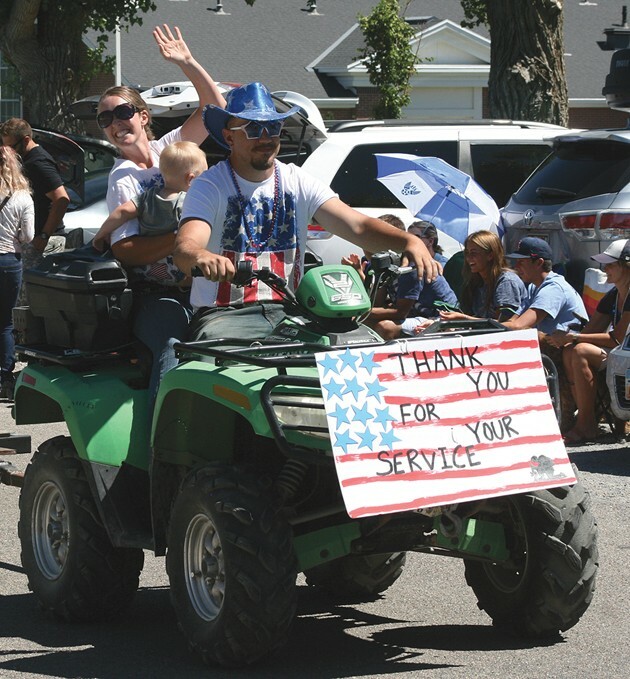 The county’s cities and towns provided a host of activities to celebrate the Fourth of July. 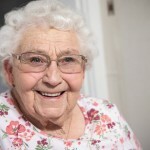 Country Fanfest and Tooele’s Fridays on Vine offered plenty of music to enjoy without leaving the county. 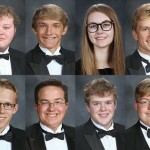 Tooele City closes out its summer concert series on Monday with a Labor Day Music Festival at Pratt Aquatic Center Park. 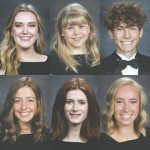 See related story about Monday’s concert on page A4.